Mr. Christopher H. Bonk is an associate at Gilbert Employment Law, focusing in federal employment litigation. While at the firm, Mr. Bonk has represented employees before the Merit Systems Protection Board and Equal Employment Opportunity Commission in matters involving discrimination, termination, and whistleblower reprisal. 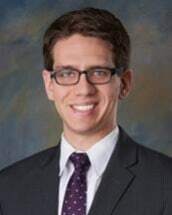 Prior to joining the firm as an associate attorney in 2015, Mr. Bonk interned with the Department of Transportation, Federal Aviation Administration, where he gained experience in federal employment litigation. While in law school, Mr. Bonk served as a staff member on the International Law Review and competed as part of his school's Moot Court Honor Society. Mr. Bonk earned his Juris Doctorate from the American University Washington College of Law. He graduated from the University of South Florida with a Bachelor of Arts in History and Political Science.